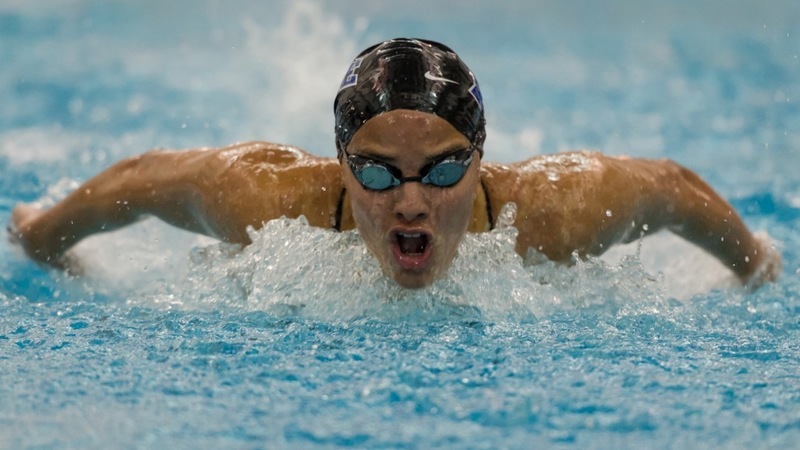 The second day of the 2015 Janis Dowd Nike Cup left the Duke men with a comfortable lead, however, their female counterparts will have a hard day of racing tomorrow to hold on to their lead over UNC-Chapel Hill. 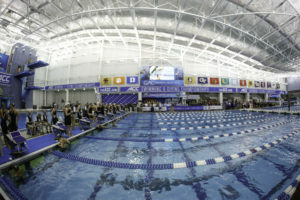 The second day of the 2015 Janis Dowd Nike Cup left the Duke men with a comfortable lead, however, their female counterparts will have a hard day of racing tomorrow to hold on to their lead over UNC-Chapel Hill. The third and final day of the 2015 Janis Dowd Nike Cup begins at 9:30 AM EST with Duke leading 1289 for the men and 1267 for the women. The Blue Devil foursome of Mickayla Hinkle, Ashleigh Shanley, Leah Goldman, and Maddie Rusch kept their campaign alive at Chapel Hill by taking first in the 200 yard medley relay in 1:38.70. The NC State relay managed to keep their time under 1:40 and also prevented Duke’s B relay from snagging second. The Tar Heels finished just behind Duke’s secondary relay by .07. For the 400 IM, victorious Tar Heel Emma Nunn at 4:17.46, finished nearly two seconds head of Yale’s Emma Smith. UNC-Chapel showed up to race for this final, they placed two more of their swimmers at 3rd and 5th with Madison Burns (4:19.62) and Catherine Husley (4:21.83), respectively. Two Yale Bulldogs and a solo ECU Pirate wrap up the A-final at the 4:23 mark. Leah Goldman and Maddie Rusch from Duke raced each other and simultaneously touched at 53.21. Teammate Isa Paez (53.50) could have made it a top-three sweep for the Devil’s, but Hellen Moffitt from Chapel Hill’s 53.31 touched first. Bella Hindley of Yale dropped just over a second off her prelims 200 yard free and finished into the wall first for the win at 1:46.62. The Ivy League institution would claim the heat and its points with four swimmers competing in the race. With a clear lead of over two seconds, Kayla Brumbaum’s 100 yard breast time of 1:00.14 earned the NC State Wolfpack their first event win of the night. East Carolina Pirate Vendela Norrman also showed up for her team, recording their highest finish of the night at 1:02.29. Just .14 off the 100 yard back NCAA A cut, Alexia Zevnik of the Wolfpack flies into the wall first at 51.65. The next closest swimmer was Moffitt at 53.06 and Maddie Hess at 53.57. The Wolfpack got some much needed points from Rachel Mumma’s 1-meter diving score of 329.15. 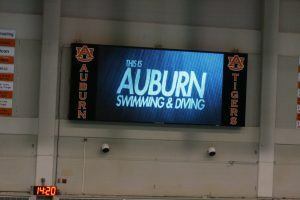 She leaves behind two Tar Heels at 314.05 and 307.10 and a whole slew of Duke and Clemson divers as well. Olivia Jameson, Kina Zhou, Isla Hutchinson-Maddox, and Bella Hindley seal the 800 yard free relay with a 7:14.91, eclipsing all of their competitors by less than two seconds. The men’s edition of the 200 yard medley relay churned out the Duke squad of Kazumu Takabayashi, Peter Kropp, David Armstrong, and James Peek with a 1:25.62 for the win. The Wolfpack settled for second again at 1:27.31, however, UNC-Chapel Hill (1:28.20) didn’t allow Duke’s B relay to push them around and bested them by .14. Yale stacked the 400 IM A-final with three Ivy League representatives: 1st Kei Hyogo (3:50.72), 3rd Brian Hogan (3:51.30), and 4th Jonathan Rutter (3:54.10). Old Dominion had a dog in this fight as well with Anton Mikaelsson’s 7th place finish at 3:59.06. The Tar Heels enjoyed a 1-2 sweep of the men’s 100 yard fly with Sam Lewis’ 47.32 and Ben Colley’s 47.78, but Duke scooped up points by claiming the next three spots. Navy swimmers Jonathan Debaugh and Ryan Bailey sandwich the sole NC State swimmer in this heat to finish up the A-final. Old Dominion’s Reed Mathews posted a 47.65 out of the consoles, a time that would have seated him 2nd in the event overall. It took a 1:37.10 from 18 year old Yale Bulldog, Scott Bole, to stop Sean Tate (1:37.46) and Nick Bigot (1:37.60) from taking the top-two. A pair of Navy and UNC-Chapel swimmers fought over spots 4-7 while Riley Hickman’s 1:40.74 closed out the race. Peter Kropp lost his 1st place seed in the 100 yard breast to Derek Hren of the Wolfpack. Hren’s time of 52.94 was the only sub 53 100 breast and qualifies as one of the fastest in the country this year. Duke stacked this A-final with 5 of their swimmers, making a huge leap to further their Nike Cup campaign. Andreas Schillersup’s 46.26 and Hennessey Stuart’s 47.05 took 1st and 2nd in the men’s 100 yard back. The Tar Heels were victorious on their own 3-meter board. Jack Nyquist wins the final with a score of 421.75 and Ozzie Moyer dips under 400 for a score of 369.70. Victor Zhang, Kei Hyogo, Scott Bole, and Adrian Lin of Yale mirrored their ladies’ finish by getting their own win in the 800 yard free relay over the U.S. Navy Academy, 6:34.13 versus 6:34.25. 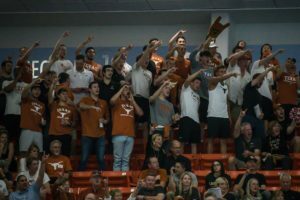 There’s still the question of who takes the fourth spot on that relay besides Bilis, Held, and Dahl, but Ipsen at 1:36.6 here and Ress at 1:37.2 earlier in the season both seem to indicate good things in notching another great finish at ACC’s and NCAA’s in that relay.